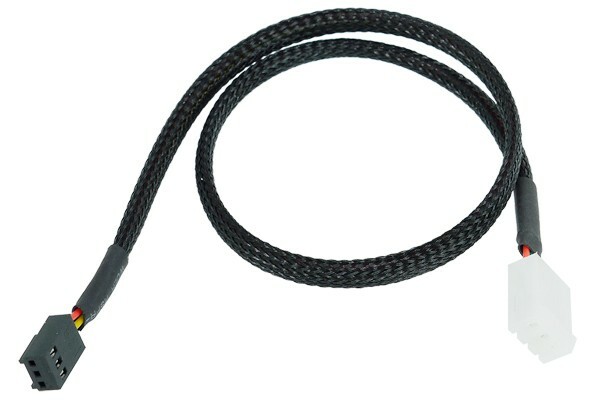 Three-lead cable for connection of flow rate sensors to fan controllers respectively monitoring devices. Length approx. 40cm, plugs on both ends (Special plug on sensor end). The cable can additionally be extended with common 3-Pin fan extension cables.